Asset development and outdoor branding. Ensuring the region has the product, amenities, and systems in place to propel economic growth. Here’s a deeper look at the Asset Development and Outdoor Branding part of the plan. Continue to be an advocate for investment in livability and outdoor recreation assets. Conduct a needs assessment for outdoor recreation and livability investment. 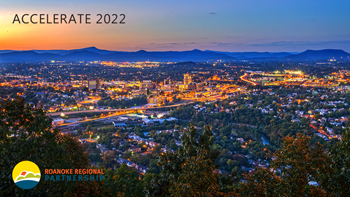 Develop an annual State of the Outdoor Report for the Roanoke Region. Continue to develop the Roanoke Outside Foundation as a platform to advocate for investment in outdoor recreation and livability. Investigate a regional funding structure to provide sustainable financial resources for development of impactful outdoor recreation and livability amenities. Grow and create events that build the outdoor recreation and livability narrative and generate operating revenue. Continue to grow the Blue Ridge Marathon’s position as a premier American road race. Continue to grow GO Fest. Identify outdoor-related events such as corporate meetings, trade shows, and association meetings that are fits for Visit Virginia’s Blue Ridge outreach. Ensure that business sites and buildings are available. Continue to make progress on work of the Western Virginia Regional industrial Facility Authority. Identify and focus resources on a recurring industrial shell building program. Leverage Partnership strengths to help develop new assets. Be an advocate and facilitator for economic development activities taking place around the Health Sciences and Technology Innovation District. Provide an economic developer’s perspective on business clusters that would be a good fit for the District.